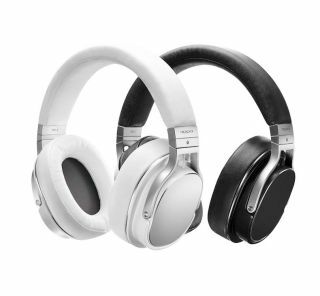 Oppo launches PM-3 Classic planar magnetic headphones | What Hi-Fi? The PM-3 Classic headphones are the latest Oppo over-ear model. They're available to buy now, in either black or white finishes, and cost £349. Oppo claims the PM-3s are the world's lightest closed-back headphones to use planar magnetic drivers. Just to recap, instead of having a magnet attracting and repelling a voice coil and moving a cone, a planar magnetic driver has a thin diaphragm, held between magnets. This diaphragm is printed with semiconductors, and when pushed and pulled by the magnets, the whole diaphragm moves with its surface evenly driven. The idea is to offer greater accuracy and stability, and cut down on distortion. The Classics use a brand-new 55mm circular driver which is tuned "to have deep, tight bass and a touch of excitement". We've already tested (and loved) the luxurious, £1100 Oppo PM-1 headphones, but they're much more suited to home use.